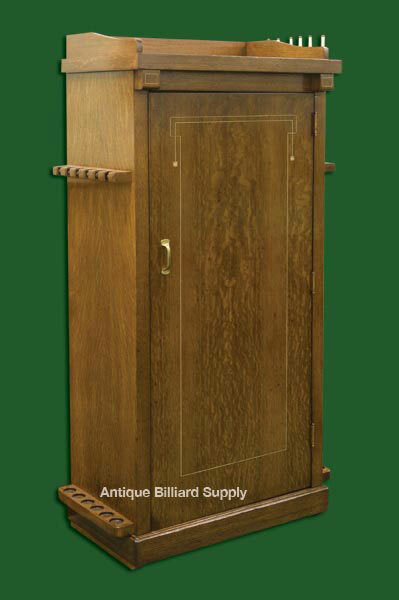 #7-21 Combination Coat Closet and Hat Rack by Brunswick. Coat is hung inside, six cues racked on each side, and hat goes on top. Oak finished in dark walnut color. Inlay pattern of holly and mother-of-pearl to match many models of Brunswick antique pool tables.